Lynn Naismith gave up the job she loved when she married Ed, the love of her life, but it was worth it for the happy years they enjoyed together. Now, ten years on, Ed has been diagnosed with early-onset dementia, and things start to happen; things more sinister than missing keys and lost words. As some memories are forgotten, others, long buried, begin to surface … and Lynn's perfect world begins to crumble. But is it Ed's mind playing tricks, or hers…? Oh, where to start with this book. There are so many subtle nuances to this book, that to describe them in this review could spoil the twists for you. So, as with Lynn Naismith in this book, I will have to tread carefully. The plot is as slippery as a writhing snake! Firstly, I feel I need to confirm that Ed’s Pick’s Disease/dementia is dealt with sensitively. Having had Alzheimer’s in the family, there is nothing positive about watching someone you love slowly ebbing away, being stripped of all that made them whole. Voss is mindful of this and although this is a suspense novel, the subject matter is dealt with properly. However, the state of Ed and Lynn’s marriage is another thing. Not only has her husband been diagnosed the same disease that killed Ed’s father, as with any condition that strips away any inhibitions, Lynn is getting some very strange mixed signals… in particular regarding Ed’s first wife, Shelagh who disappeared, and although someone confessed to the crime, her body was never found. But Lynn has her own secrets as well. Voss is adept at keeping the ball of confusion rolling and rolling so that you can never quite put your finger on who is telling the truth. At one point I wondered if it was Lynn herself who had the diagnosis and in denial and making up a different life to the one she had. In a way, this is correct as many of the characters in this book appear to have been running from something, or want to run away from something and change their identity. Why do I rate this book so highly? This is one of the few times when I had jobs to do around the house and had to do such jobs with this book in my hand. In fact I read the last 100 pages standing up by my back door, telling myself I’d ‘get on’, but stayed rooted to the spot, unable to put it down until the last page had been turned. That is the sign of a gripping read. ‘The Old You’ has it all… gripping plot, well-rounded (and unreliable) characters, twists, turns and revelations – all along the way rather than just at the end. You’d be mad not to throw this into your suitcase when you jet off on holiday! 1) ‘The Old You’ begins with Ed Naismith being diagnosed with Pick’s Disease, which is another name for dementia. How much research did you have to do and did you have to be careful not to sensationalise this condition which is very much in the news these days? I did a bit of research on the specific symptoms of Pick’s, as they can be different to Alzheimer’s, and tends to affect sufferers from a younger age. But sadly I didn’t need to do much, after watching my mum endure Alzheimer’s for about nine years. Because of my personal experience, I hope I didn’t sensationalise it at all. 2) ‘The Old You’ is about identity – not only Ed’s, but also his wife, Lynn. Was this deliberate or had you planned that both had not been entirely truthful in the past? It’s quite weird and I don’t know what exactly it says about me (!) 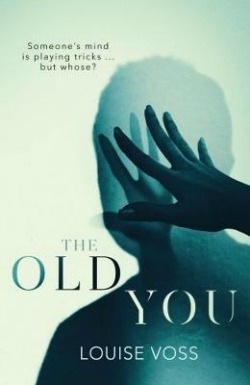 but all my books seem to end up being about identity in one way or another… This time however, in ‘The Old You’, it was deliberate, with the kick-off point being how dementia affects and influences both truth and lies. What struck me – and was the original inspiration for the book – was how complex situations can become when a dementia sufferer speaks untruths – because they themselves 100% believe they’re telling the truth, even when they patently aren’t. Sadly, there is so much scope for manipulation within this reality. But fictionally this has huge scope for great plotlines - particularly if both protagonists have secrets in their past that they’d rather keep hidden. 3) I really felt for Lynn’s predicament. Did you feel guilty whilst writing your book that you had dumped quite a lot of bad stuff on one woman? Ha ha, no not really! There’s a classic piece of advice on writing crime fiction that decrees you have to push your main character to the absolute limit – and then a bit further. 4) While reading ‘The Old You’, I felt that you controlled the suspense very well. Do you plan your books so as not to reveal your hand too early? Thank you… I have to say, that was a real process of evolution. I don’t think I could ever have planned it, not in a hundred years of trying. One revelation led to another and then another as I went along - I’m rubbish at plotting ahead. And – very importantly - I also had a lot of editorial help! The original version had the first big reveal woven in alternate chapters right from the start. 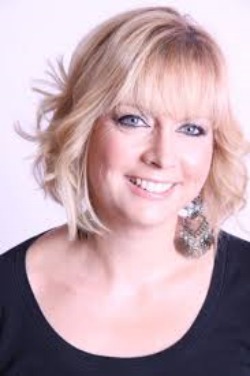 Karen suggested instead moving those flashback chapters further into the middle of the book and dumping them on the reader as a twist, and that’s worked brilliantly (although it does make the book harder to pitch!). 5) You have written books with Mark Edwards. How different is it to write with someone else compared to writing alone? Well, personally I find it much easier to co-write, because, two brains and all, and we sort of self-edited as we went along. It’s far easier to work out knotty plot issues when you have someone to discuss it with, someone who has as much invested in it as you do. Plus, you only have to do half the amount of work! Mark and I were lucky in that we worked very well together (I’ve heard some horror stories about co-writers!). 6) What is in the pipeline for Louise Voss, writer? I’m ¾ through the first draft of the second book in my Orenda contract. It’s a right old mess at the moment though (don’t tell Karen!) so will need lots of re-drafting. I hate this bit, it’s like pulling teeth! 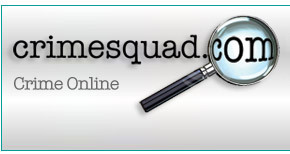 7) Are you a fan of crime fiction? If so, which three crime novels would you like with you if stranded on a desert island? Yes, a huge fan (of contemporary crime fiction anyway. I confess that my knowledge of the classic crime-writers is somewhat patchy. I rarely read them when I was younger, preferring other genres, and now I have so many new releases to read, I’ve never quite caught up). I read more women crime writers than men, and I love really meaty, intelligent, character-driven books written in the sort of prose that makes me envious. Off the top of my head, as there’d be dozens on my shortlist, I’d pick Hell Bay by Kate Rhodes, Rattle by Fiona Cummins, and Missing, Presumed by Susie Steiner.